It’s the biggest foot-balling event in the world before the World Cup’s kickoff in South Africa in two weeks time. Erm. Ok. Fine. It’s the Catholic Church’s biggest foot-balling event: The Clericus Cup and it’s just bee run, a second time in a row, by a smoking hot team of international seminarians put up by the Neocatechumenal Way. Their team “Redemptoris Mater” beat the students at the North American College “The North American Martyrs” one : nil in the Clericus Cup final in Rome on Saturday. 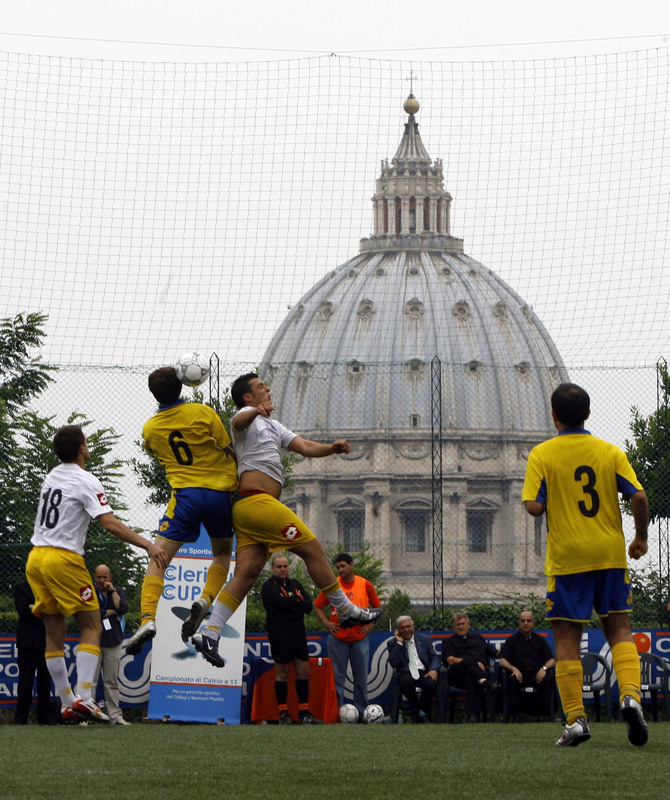 Since February, 300 clerics and young priests from 63 different nations took part in the tournament which has been running for four years now. There are 16 teams made up of the different seminarians and the competition is organised by the Catholic Sports Association of Italy. A long running dispute between Church and State in the Czech Republic concerning the ownership of St Vitus Cathedral in Prague has come to a close. Archbishop Dominik Duka OP of Prague signed an agreement with the Czech President Vaclav Klaus to share the care of St Vitus on Monday ending an 18 year long dispute over the Church’s property rights. 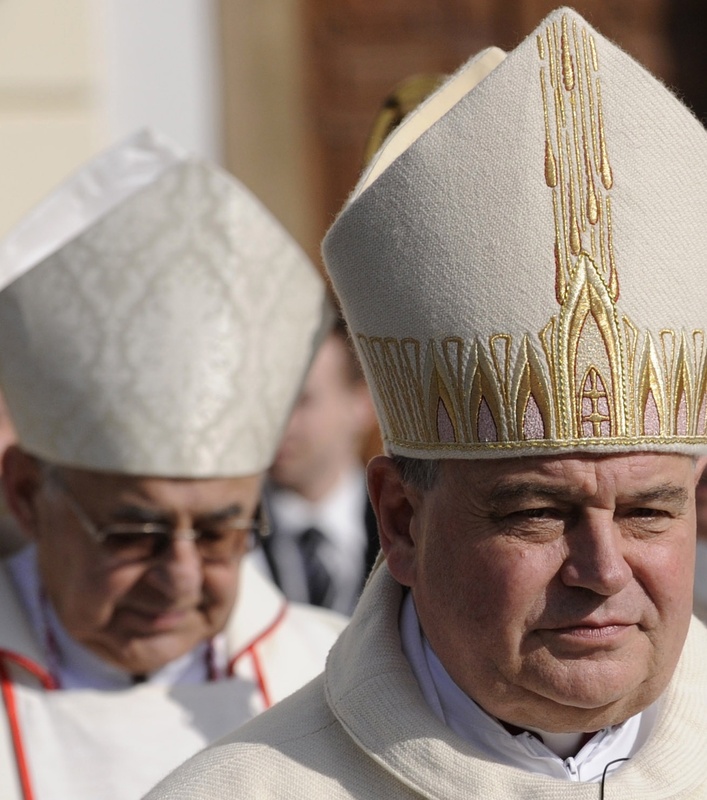 After the fall of Communism, Duka’s predecessor Cardinal Miloslav Vlk started a courtbattle over cathedral ownership. The battle has raged for years, swaying in the favour of one party then the other. When Cardinal Vlk stepped down, Radio Prague reported that his three greatest failures were a) the inability to end the dispute over the ownership of the Cathedral b) reaching a final agreement on Church property restitution and c) establish a concordat between the Holy See and the Czech Republic. When Archbishop Duka was nominated, he pledged to put an end to such disputes between Church and State in the Czech Republic. Former Dominican friar and bioethicist Professor David Jones has been nominated to succeed Dr Helen Watt as director at the Linacre Centre for Healthcare Ethics. The post was held by Professor Luke Gormally from 1981 to 2000. 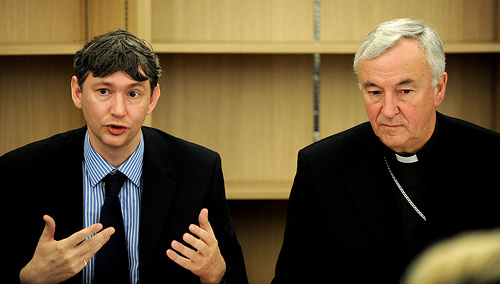 Dr Jones is known as an eloquent defender of Catholic moral teaching in the public arena. He has a reputation for being a canny theologian with nous and comes across well in the media. The Linacre Centre will be renamed after the renowned Catholic philosopher Elizabeth Anscombe. Earlier this year the centre relocated to Oxford University to work in close academic cooperation to Blackfriars Hall–the Dominican Permanent Private Hall. Dr Jones is currently the Professor of Bioethics at St Mary’s University College, Twickenham and is the author of The Soul of the Embryo: An enquiry into the status of the human embryo in the Christian tradition (Continuum 2004). His doctorate was published and is entitled Approaching the End: a theological exploration of death and dying (Oxford University Press 2007). With the publication of the new General Medical Council’s rules for withholding treatment from terminally ill patients were published today and the growing clamour to legalise other forms of assisted suicide, Dr Jones’s appointment is timely. He has spoken in favour of the controversial Liverpool Care Pathway, a palliative care programme for dying patients in hospitals and is a member of the the National Liverpool Care Pathway Reference Group. It looks like the first moves towards establishing an ordinariate in the United Kingdom have been made by the Traditional Anglican Communion in this country. According to Anglo-Catholic, the group–which is small in Britain– has made a formal request to the Congregation for the Doctrine of the Faith. 1) That the Apostolic Constitution be implemented in the United Kingdom and a Personal Ordinariate be erected. 2) That we may establish an interim Governing Council. 3) That this interim Council be directed by the Holy Father to propose a terna of names for the appointment of an Ordinary in a UK Ordinariate. While we cannot speak for other groups of Anglicans in the United Kingdom, we shall be delighted if others apply for acceptance under the terms of Anglicanorum coetibus. NB: It is important not to confuse the Traditional Anglican Communion with traditionalist groups in the Church of England. TTAC counts as a continuing Church and is not in Communion with Canterbury. I’m late on picking up on this, but for those people who are interested in manuscripts, illumination and/or reading the Office on a regular basis, the Metropolitan Museum in New York is exhibiting one of the Duc de Berry’s more famous book of hours. 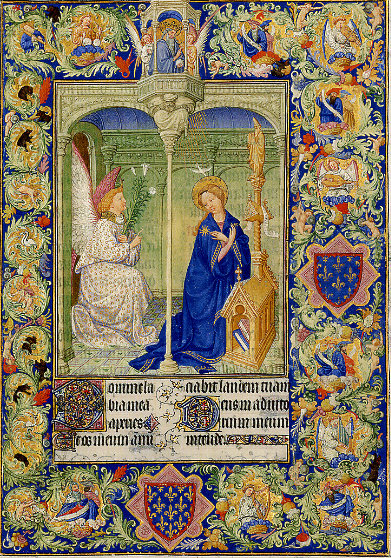 If you happen to be passing through New York before June 13 “The Art of Illumination: The Limbourg Brothers and the Belles Heures of Jean de France, Duc de Berry” , is worth a peek, if not several hours. The Belles Heures of the Duc de Berry is an extended devotional work, which is more than an ordinary book of hours. It also includes the life of St Catherine of Alexandria, the foundation of the Carthusian Order and the institution of the Great Litany by St Gregory the Great. The Duc de Berry’s book belongs to the Cloisters. The book has been unbound and the individual illuminations are on display. Visitors can take magnifying glasses and wander around looking at the beautiful devotional images. American-style culture wars in British politics? A Catholic Liberal Democrat MP has been targeted by a leafleting campaign for voting according to his conscience on questions of abortion and on the Equality Act. 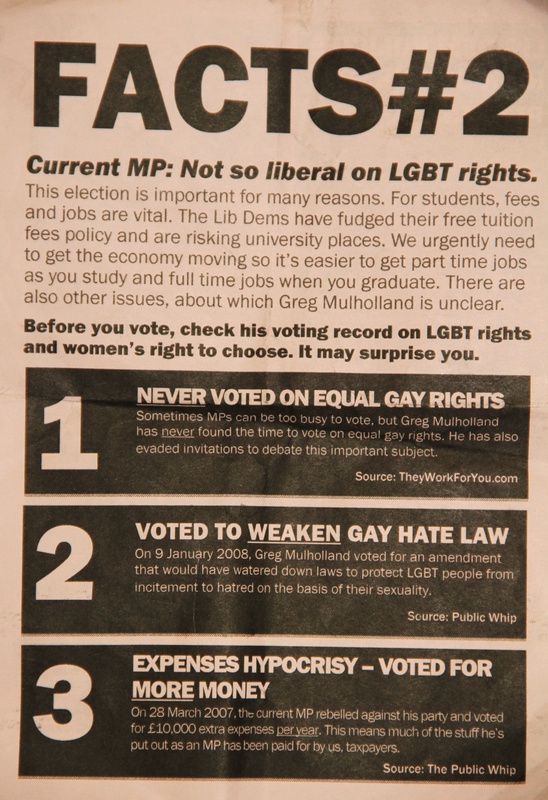 Leaflets produced by the Conservative Party candidate for Leeds North West attacked Greg Mulholland, the standing MP for the constituency, for his pro-life record and his voting record on amendments to schedule nine of the Equality Act which left existing legislation protecting the rights of religious groups in place. Mr Mulholland consistently voted for pro-life amendments when the HFE Bill was being discussed and has abstained from voting on questions of gay rights.